Best Care EAP provides a wide variety of wellness and online services that will boost your employees’ productivity and morale. All of our services can be tailored to meet the individual needs of your company. Our training programs are available online and in person. Your employees have access to pre-recorded webinars 24 hours a day. We can also tailor training to your company and deliver it on site or online. Our licensed counselors provide one-on-one, couple and family counseling close to your work or home. For over 40 years we have provided immediate support for our members during times of crisis. Whether caused by an unexpected injury or death, crime or environmental impact, Best Care EAP is available to you and your employees with immediate support following a critical incident. 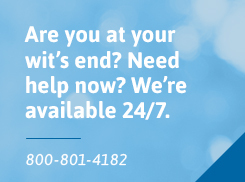 If you are interested in learning more about Best Care EAP or have questions about our services, please contact us or call (402) 354-8000 or (800) 801-4182.